“The Turkish state has condemned its citizens in the districts of Sur, Silvan, Nusaybin, Cizre and Silopi and in many other towns and neighborhoods in the Kurdish provinces to hunger and drought through curfews that have been ongoing for weeks. Attacking settlements with heavy weapons and equipment that would only be mobilized in wartime, the State has violated the right to life, liberty, and security, and in particular the prohibition of torture and ill-treatment protected by the constitution and international conventions. However, the petition fails to mention the fact that the Turkish state is at war with the Kurdistan Workers Party (PKK) - a Marxist-Leninist militant group which is recognized as a terrorist organisation by Turkey, NATO, the US, and EU - not the Kurdish people. Not mentioning any of the violations of people’s right to life, to work, to receive education and to travel by the PKK, the academics who signed the petition present only a partial picture of what is going on in southeastern Turkey and accuse the Turkish state of carrying out a deliberate and planned massacre against its own people. The academics prefer to ignore the explicit violence PKK-affiliated militants engage in in city centers and try to render terrorism invisible. The petition was written with the call of the “Academics for Peace Initiative”, and 1,128 researchers and academics working at various universities in Turkey signed it. It must be stated that they are not representative of all 151,146 academics in Turkey. What is happening in southeastern Turkey? The authorities responded with security crackdowns. To stop the security forces from entering neighborhoods, the Patriotic Revolutionary Youth Movement (YDG-H), the PKK’s urban youth branch, dug trenches and erected barricades. Curfews followed, and young people armed with light weapons clashed with the police.Since the declaration of self-rule, thousands of people have fled their houses. About 1,000 businesses have been closed. 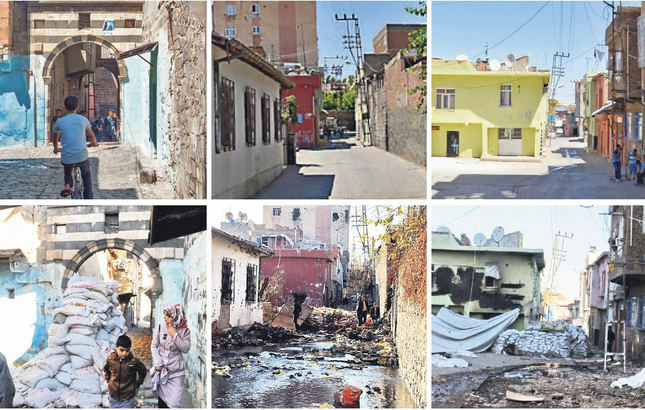 The militants set school buildings on fire in the Cizre and Sur districts of southeastern Turkey, and also shot at fire brigade crews who arrived to the scene in response to the fires. Furthermore, the PKK targeted a hospital with rocket-launchers in Sirnak’s Cizre district, causing substantial damage to the building.